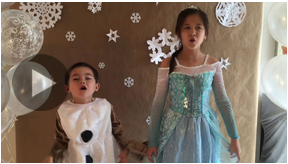 Kohl’s Sing Your “Frozen” Heart Out Contest Winner & $100 Giveaway! Disclosure – I participated in an Influencer Activation Program on behalf of Influence-Central for Kohl’s. I received Kohl’s gift cards to facilitate my review and a thank you item for participating. A few weeks ago I told you guys about the Kohl’s Sing Your “Frozen” Heart Out contest where fans of the “Frozen” movie could submit videos of themselves, their kids or the entire family singing “Let It Go” for a chance to appear in the Kohl’s commercial that aired during the 2014 American Music Awards. 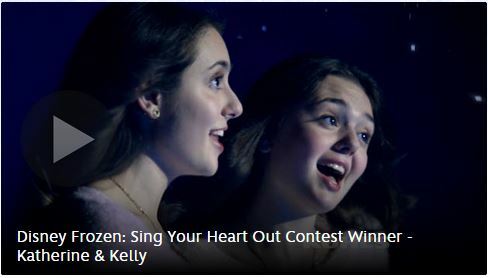 Well Disney and Kohl’s congratulated Katherine and Kelly, sisters from Long Island, New York, for winning the contest during the AMAs and you can see their performance here. The commercial that aired was beautifully done, the girls did a great job with the song, and I also enjoyed watching and getting to know the winners a little better in their behind the scenes video. 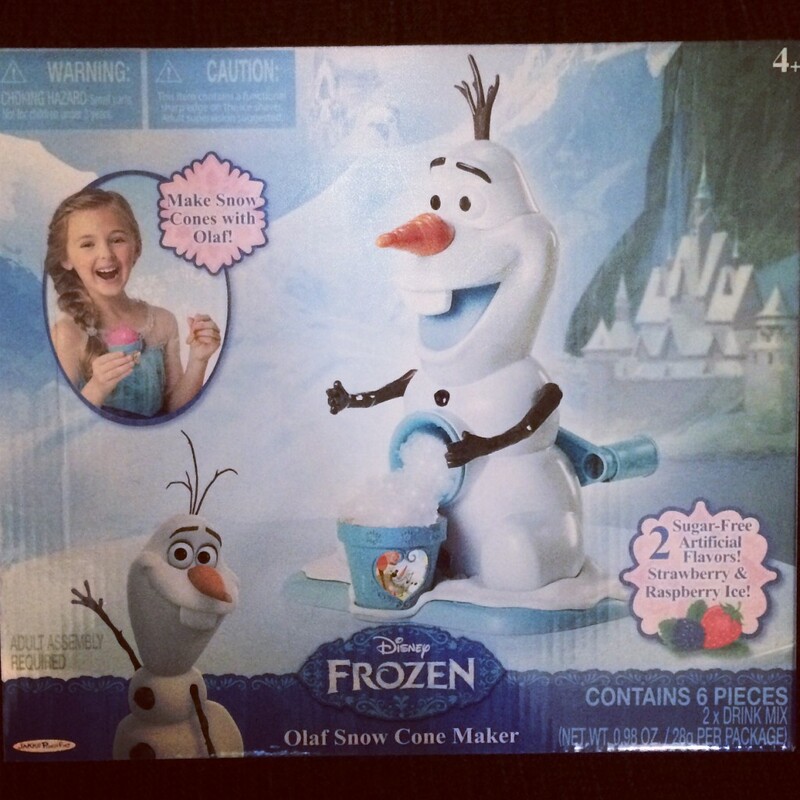 We love the huge assortment of Frozen themed items that you can find at Kohl’s like this Olaf Snow Cone Maker that the kids are getting for Christmas. 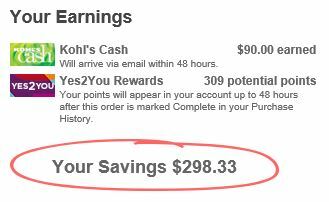 I did much of my Black Friday Christmas shopping online at Kohls.com and I’m super excited to have earned $90 in Kohl’s Cash and 309 Yes2You Rewards points. I got lots of fabulous deals on gifts for the kids (and myself) AND I have $90 to spend on Cyber Monday – win win! You can find everything you need at Kohl’s and there is something for everyone on your gift list. I always shop at Kohl’s first because I know I’ll find great prices on quality products and the deals just get better and better with their awesome sales, promo codes and rewards like Kohl’s Cash and Yes2You. I’m thrilled to be able to giveaway a $100 Kohl’s gift card so one lucky reader can pick out some adorable Disney Frozen apparel pieces or toys of their own. To enter to win just do any or all of the things listed in the Rafflecopter widget below. This giveaway will end at midnight on Sunday, December 7th. Disclosure – I participated in an Influencer Activation Program on behalf ofInfluence-Central for Kohl’s. I received Kohl’s gift cards to facilitate my review and a thank you item for participating. Almost 4,000 fans of the Disney movie “Frozen” have submitted videos of themselves singing “Let it Go” for the Kohl’s Sing Your “Frozen” Heart Out contest. They’ve narrowed the children, adults and families who entered down to the top 10 finalists and now you can view them and vote for your favorite one! You have through November 23rd to visit Disney.com/frozenfriday and cast your vote. The finalist with the most votes on November 23rd will appear in a Kohl’s holiday commercial during the American Music Awards (AMAs). This is Dax and Allayna, a brother and sister duo, singing “Let It Be” for their entry. I think they are my favourite finalists but you should go check them out yourself and see who you would like to win. There is a limit of one vote per person per day. All of the finalists videos are adorable so it was hard to pick a favorite, but voting was fast, fun and easy and I can’t wait to see who wins the contest. In the meanwhile, head over to Kohl’s and check out all the great Frozen themed toys and clothing. 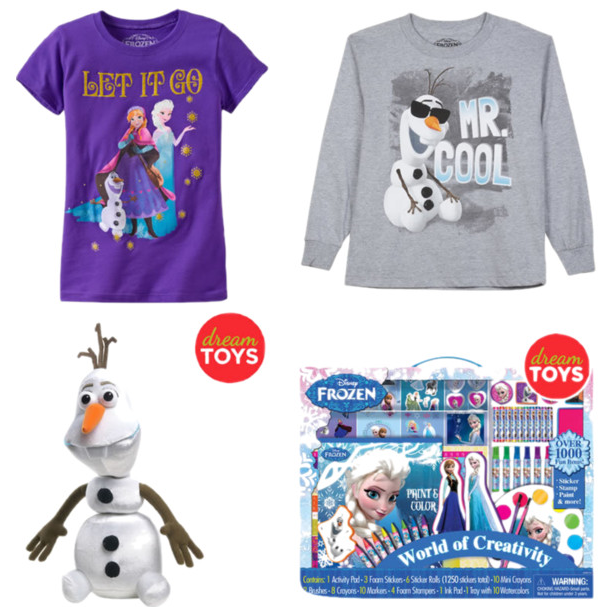 A one-stop shop for everything “Frozen,” Kohl’s and Kohls.com offer a full assortment of “Frozen” products, including a wide variety of exclusive styles. My girls are getting a “Frozen” themed snow cone maker for Christmas and my two little boys are getting cool Olaf shirts. There is a whole “Frozen” section at the Kohl’s website where you can find awesome toys, games, activities, bikes, bedding, dishes, shoes and pyjamas in addition to themed clothing and costumes. Right now you can even preview their Black Friday sale pricing! So hurry on over to get your vote in, grab some great Frozen stuff for the kids, and don’t forget to watch to watch the big reveal in the Kohl’s commercial during the American Music Awards on Sunday November 23rd at 8/7c. Kohl’s Sing Your “Frozen” Heart Out Contest & $100 Giveaway! A few weeks ago I told you guys about the Kohl’s Sing Your “Frozen” Heart Out contest where fans of the “Frozen” movie could submit videos of themselves, their kids or the entire family singing “Let It Go” for a chance to appear in a Kohl’s commercial that will air during the 2014 American Music Awards. Well lots of people have submitted thousands of video entries and I wanted to share my favorite with you! 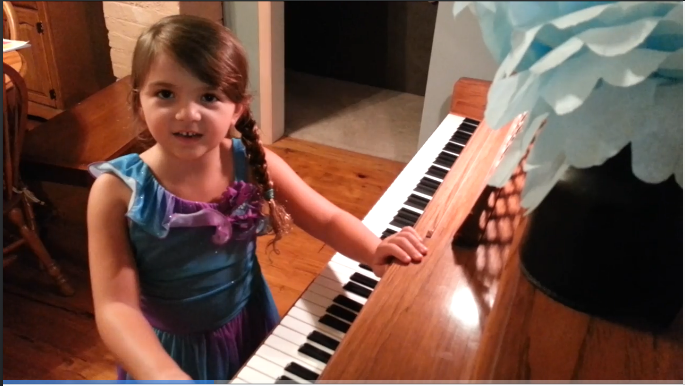 This is Emily singing and playing “Let It Go” on the piano for her contest entry and I just think she’s absolutely adorable. Check out the video entries here and let me know which one is your favorite. Voting will start on the submissions on November 10th and the winning video will be revealed during a Kohl’s commercial during the American Music Awards on Sunday November 23rd at 8/7c. Be sure to head back over to pick your favorite once voting starts. I can’t wait to see the commercial in November! In the meanwhile, head over to Kohl’s and check out all the great Frozen themed toys and clothing. I’m already starting my Christmas shopping so I don’t kill my budget all at once for my five kiddos and I know they’ll love receiving these Let It Go and Mr. Cool shirts or some of the fabulous toys like this stuffed Olaf and the Frozen Creativity Set. There are lots of great toys and outfits to choose from in addition to Frozen bedding, shoes, pillows, sleepwear and costumes. I’m thrilled to be able to giveaway a $100 Kohl’s gift card so one lucky reader can pick out some adorable Disney Frozen apparel pieces or toys of their own. To enter to win just do any or all of the things listed in the Rafflecopter widget below. This giveaway will end at midnight on Friday, October 31st. Enter the Sing Your “Frozen” Heart Out Contest! How would you or you and your family like to appear in a Kohl’s holiday commercial that will air during the 2014 American Music Awards broadcast? I took my five kids to see Frozen in the theater last winter and they all absolutely loved it, boys and girls alike. Then during summer camp this summer Frozen became the “go to” movie to show the kids on those rainy afternoons when the kids couldn’t go outside to play. It cracked me up all summer long that the kids would come home singing “Let It Go” in the car all the way there. I’m getting my kids together to do a video entry to submit and if you’d like to do a video of yourself, your kids, or your whole family to enter then it’s super easy to submit. 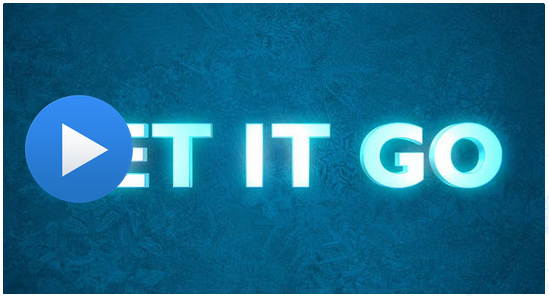 Head over to the Disney Frozen Friday page by September 29th and “Let It Go” using the karaoke lyric video posted on the page if you need any help with the lyrics. You can be original and put your own spin on the song if you’d like, just be sure not to show any brands or logos in your video and don’t wear revealing clothing or do any suggestive moves (consider the audience here). Your video should be a minimum of 60 seconds and no longer than four minutes. Apart from the lyrics your video must be 100% original and remember to get your parent’s permission if you’re a minor. Check out all the contest rules here! Voting will start on the submissions on November 10th and the winning video will be revealed during a Kohl’s commercial during the American Music Awards on Sunday November 23rd at 8/7c. Get practicing, have fun and good luck with your video entry – I can’t wait to see the commercial in November!